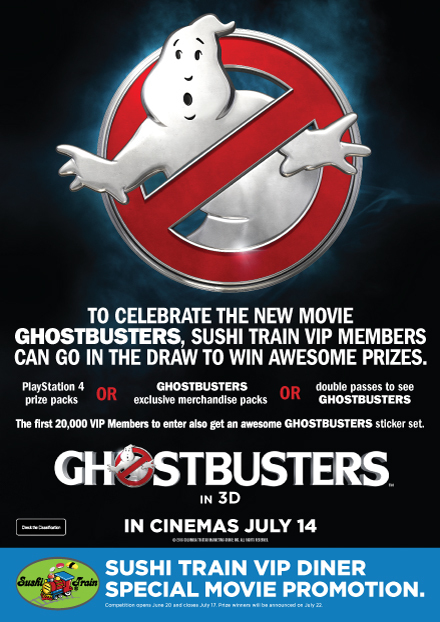 To Celebrate the new movie GHOSTBUSTERS, Sushi Train VIP Members can go in the draw to win awesome prizes. Competition opens June 20 and closes July 17. Prize winners will be announced July 22.